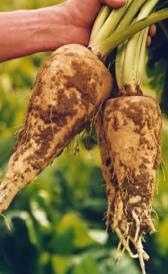 Raw chicory roots: In this food there are some nutrients that are found in low quantity, for example protein, total lipid and sodium. Raw chives: High in vitamin c, folate, total and food folate and low in food energy, total lipid and carbohydrate. Raw garland chrysanthemum: Raw garland chrysanthemum is high folate, total, food folate and folate. On the other hand. is low in food energy, total lipid and carbohydrate. Home-prepared coleslaw: Home-prepared coleslaw is low in protein, total sugars and iron. Raw collards: Raw collards is high folate, total, food folate and folate. On the other hand. is low in food energy, total lipid and total sugars. Raw yellow sweet corn: In food has a low quantity of total lipid, calcium and iron. Raw cornsalad: This food is low in food energy, protein and total lipid but Raw cornsalad has vitamin a in high quantity. Raw yardlong bean: In this food there are some nutrients that are found in low quantity, for example total lipid, total dietary fiber and total sugars. Raw leafy tips cowpeas: Raw leafy tips cowpeas is high folate, total, food folate and folate. On the other hand. is low in food energy, total lipid and carbohydrate. Raw garden cress: This food has a low quantiti of food energy, total lipid and carbohydrate but has a high quantity of vitamin c, food folate and vitamin a. Raw with peel cucumber: In this food there are some nutrients that are found in low quantity, for example food energy, protein and total lipid. 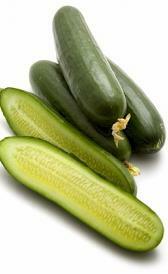 Raw peeled cucumber: In food has a low quantity of food energy, protein and total lipid. Raw dandelion greens: This food has a low quantiti of food energy, total lipid and total sugars but has a high quantity of vitamin a, vitamin a and beta-carotene. Raw eggplant: In food has a low quantity of food energy, protein and total lipid. Unprepared frozen edamame: This food has a low quantiti of sodium, selenium and folic acid but has a high quantity of folate, total, food folate and folate. Prepared frozen edamame: High in folate, total, food folate and folate and low in sodium, selenium and folic acid. Raw endive: Raw endive is high folate, total, food folate and folate. On the other hand. is low in food energy, protein and total lipid. Raw garlic: This food has a low quantiti of total lipid, total sugars and sodium but has a high quantity of manganese and vitamin b6. Raw ginger root: Raw ginger root is low in protein, total lipid and total sugars. Raw drumstick leaves: This food is low in total lipid, total sugars and sodium but Raw drumstick leaves has magnesium, vitamin c and riboflavin in high quantity. Raw jerusalem-artichokes: In this food there are some nutrients that are found in low quantity, for example protein, total lipid and calcium. 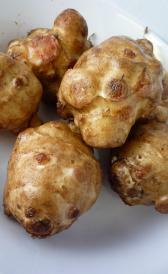 Raw (pepeao) jew's ear: High in pantothenic acid and low in food energy, protein and total lipid. Dried pepeao: This food is low in total lipid, total dietary fiber and total sugars but Dried pepeao has carbohydrate, iron and magnesium in high quantity. Raw potherb jute: This food has a low quantiti of food energy, total lipid and total dietary fiber but has a high quantity of calcium, riboflavin and vitamin b6. Raw kale: Raw kale is high vitamin c, vitamin a and vitamin a. On the other hand. is low in total lipid, total sugars and sodium. Unprepared frozen kale: This food has a low quantiti of food energy, total lipid and carbohydrate but has a high quantity of vitamin a. Raw shiitake mushrooms: This food is low in food energy, total lipid and calcium but Raw shiitake mushrooms has pantothenic acid in high quantity. Raw Chanterelle mushrooms: This food has a low quantiti of food energy, protein and total lipid but has a high quantity of vitamin d and vitamin d.
Raw morel mushrooms: High in iron, copper and vitamin d and low in food energy, total lipid and carbohydrate. Raw kohlrabi: Raw kohlrabi is high vitamin c. On the other hand. is low in food energy, protein and total lipid.